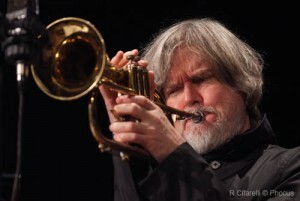 Loath as I am to resort to gimmickry in matters as serious as jazz biography, (in contrast to the NY Times profile of jazz pianist Fred Hersch’s recovery from the muscular amnesia he suffered as a result of a two-month HIV-related coma), it’s hard to ignore the back-story of trumpeter Tom Harrell’s mental illness. Harrell (b. 1946) has suffered from paranoid schizophrenia since the 1960s. He hears voices, maintains (in his words) ‘a tenuous contact with reality’, is heavily medicated, and speaks like a zombie who’s just seen a ghost. Until he puts his horn to his lips, when he’s instantly and magically possessed by an utterly coherent aesthetic expressiveness. If you want to see how that works on stage, check out this clip. Q: Has schizophrenia enabled you to paint a more serene picture musically? Your music is so different from that of all the other jazz trumpeters out there. It’s like your deficiency has been your strength. A: That’s how I view it. The fact that I can’t always relate to people socially – I’ve spent a lot of time alone ever since the 60s, and that has enabled me to focus more on music, and also the feelings I’ve experienced have given me insights. The feelings that come out when I play, different social themes, it is a blessing… But schizophrenia can be a drag because of the tenuous reality contact thing. But as long as I take the medication I feel alright, because I’m able to do my work. Riveting as Harrell’s background may be, it is of course the foreground that deserves the spotlight, his wonderful 40-year musical career. He’s worked in a very wide range of formats. 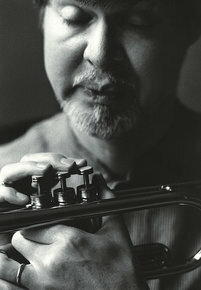 As guest/session man/band member, he’s played with Stan Kenton, Woody Herman, Dizzie Gillespie, Bill Evans, George Russell, Mel Lewis, Gerry Mulligan, Art Farmer, Lee Konitz, Sam Jones, Jim Hall, Charlie Haden, Phil Woods, Joe Lovano and Charles McPherson, and especially Phil Woods and Horace Silver. Wow! 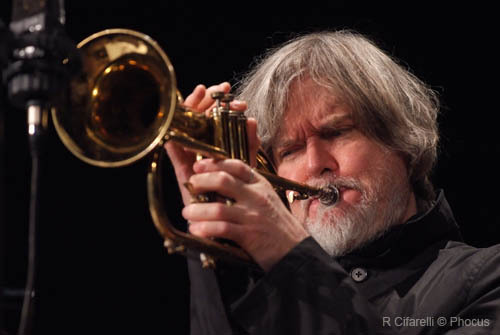 He’s recorded close to 30 albums as a leader in a wide variety of formats, as big-band leader, orchestra leader, and especially combos from quartets to nonets. In recent years he’s developed a remarkably stable, tight quintet – with tenor saxophonist Wayne Escoffery, pianist Danny Grissett, drummer Johnathan Blake, and bassist Ugonna Okegwo. Critics and musicians admire him unanimously. I once asked Billy Hart, a legendary jazz session drummer in jazz for the past 50 years, what it was like to play with him. He became very quiet, and responded in a hushed, reverent voice that playing with Harrell had been one of the most moving experiences for him in his entire career. Harrell is a most generous leader. 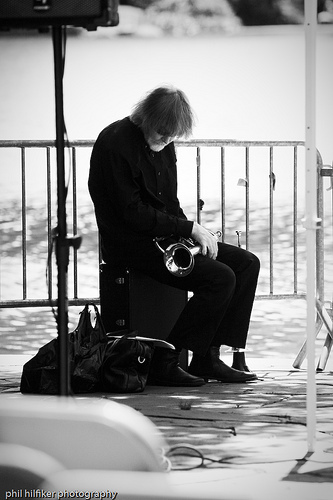 As a player, he never hogs the limelight, frequently soloing less than the piano or saxophone. His real forte is as a composer, the polar opposite of a leader playing the guys a riff and saying “Let’s blow.” The music is always controlled, structured, sophisticated, composed (in both senses). His composer’s voice is unmistakably contemporary, a savvy, open-eyed, challenging and restless explorer, but never straying far from his very melodic premise. Here’s a pretty characteristic cut from the 2010 CD “Roman Nights”, ‘Let the Children Play’. Here’s the very next cut, Harrell at his most serene and romantic, the title cut, ‘Roman Nights’. But for our Song of The Week, we’re going for a tune that’s captured our hearts and ears for years now, ‘Train Shuffle’. Harrell is never mordant, but this piece is unusually ebullient. Here’s the version from the 1999 big-band album, “Time’s Mirror”. And here it is from the 1993 sextet album “Upswing” (I guess a loony can be as witty as the next guy), featuring Phil Wood, Joe Lovano and Danilo Perez. It’s a favorite of mine. I revisit it regularly, and it never fails to get me grinning and my foot tapping. Fine, fun, intelligent post-bop jazz at its best. No gimmicks. What great, lovely music. What a talented man! Thanks for sharing his music with us. Thank ye all. 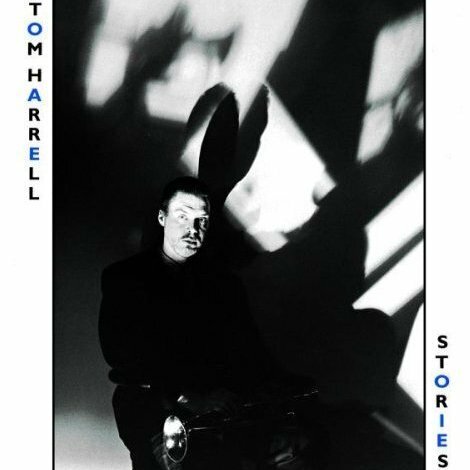 I’m so pleasantly surprised to find that Tom Harrell appeals to some non-jazz folks, as well as those more inclined to this sort of pleasure. I’ve never really listened to Harrell despite having a clutch of albums he either leads or is on. Having read this post, I’ve listened to Train Shuffle nearly everyday and its now one of my very favourite pieces! Sometimes it takes someone else to point out something thats been under your nose for a while. Harrell is an inspired artist and the band on Upswing is excellent. Excellent article on an amazing person Jeff. He’s a living example of the power of music to conquer the ravages of illness. Wonderful player and its just incredible to watch him come to life on stage. I love his warm intimate sound. He finds complete self expression through his playing. The power of music. Thank you for sharing his gift.